Forced-air heating and cooling systems often make a kind of ticking and popping sound when you turn them on and off—noises caused by the natural expansion and contraction of the metal duct. A rattling sound, however, indicates that either something has come loose in your duct system or a portion of your duct does not have adequate clearance. Fix an air duct rattle easily by going step by step to eliminate the possible causes. Begin at the vents that cover the opening to the air duct. The vent screws commonly work themselves loose under the force of the air. 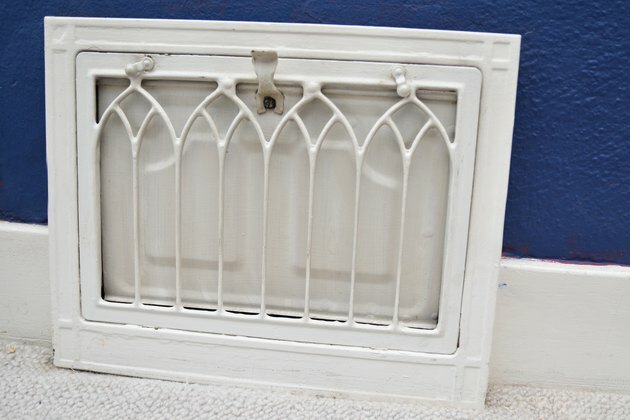 Put your fingers on the vent and determine whether you can rattle or move it. 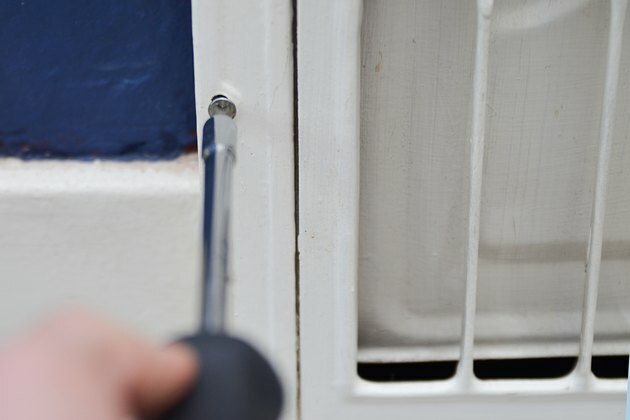 Tighten all the vent screws with a Phillips-head screwdriver. Seal all the seams on your air duct. Wrap each seam in foil tape, centering the tape over the seam and overlap it over itself itself by 3 inches. Smooth the tape down onto the metal of the air duct so you've eliminated any gaps between the edges of the tape and duct. If you have previously taped the seams, peel off the old tape and replace it. Foil tape can dry out and lose its adhesive qualities, leaving the seam open while still appearing covered and sealed. An open seam can cause the segments of joined duct work to rattle against each other under the pressure of the forced air. Press on the duct slightly as you work your way down its length. Try to rock the duct to see whether it begins to hit the framing of the walls. If it does move, the rattling likely results from the force of the air banging the metal sides of the duct against the wood. Wrap these areas in duct insulation (fiberglass insulation covered in a thin plastic wrap) to cushion the duct so it does not bang. Look at all the holes where the duct passes through a wall or floor. The duct should be secure enough so you cannot wiggle it and cause it to hit the sides of the openings. Examine the original pass-through holes and determine whether they are too small—another common cause of rattling. Don't make them bigger, which will damage the finished wall or floor. 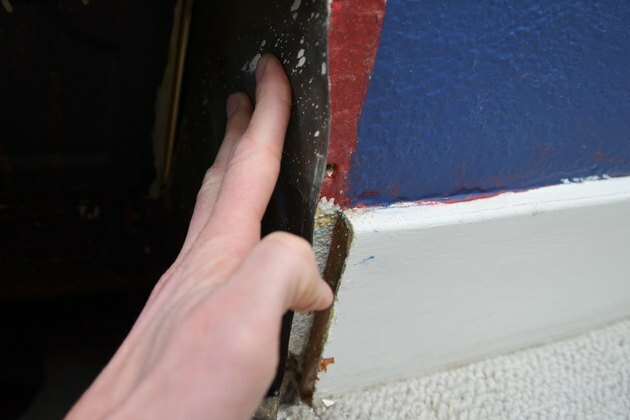 Instead, stuff duct insulation between the duct and the edges of the opening to prevent the duct from banging. Why Is My Dryer Producing Condensation?